Jean Childs Buzgo is an award-winning, full-time oil painter. Jean received her BFA at The College of New Jersey and graduated with honors with a specialization in packaging design. She won Best Packaging Design in the Student Art Show and Best Portfolio for her graduating class. For many years, Jean was both an in-house and a freelance packaging/graphic designer for bath, home fragrance and consumer health products. 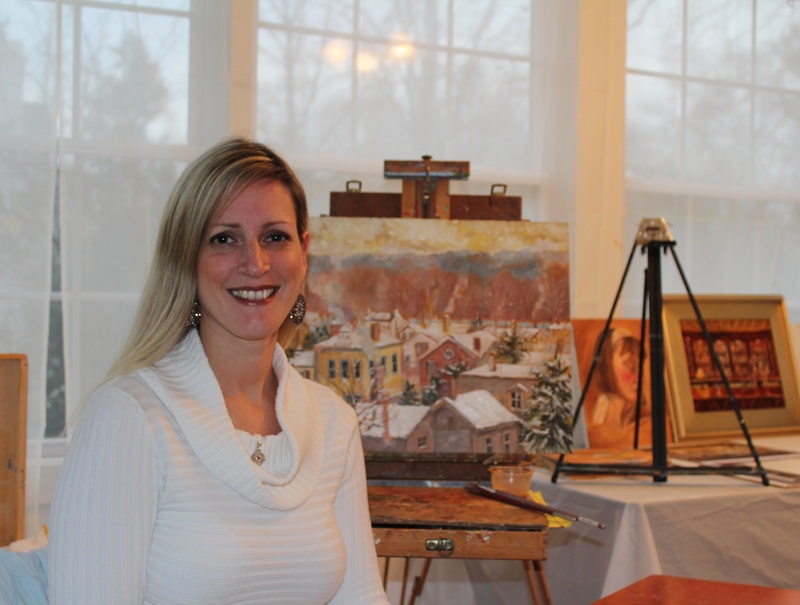 In 2008, Jean decided to pursue her life-long dream of being an oil painter, and began studying with various professional painters in the area. She is primarily self-taught, continuing her learning through daily work in her studio and is realizing success exhibiting and selling artwork in local galleries and highly competitive shows. She is a member of The Artists of Yardley, Artsbridge, The New Hope Art League, New Hope Arts and The Philadelphia Sketch Club. Jean launched her website in January of 2012 and is thrilled to be able to show the full scope of her work online. Jean’s rural scenes and landscapes depict her love of nature and farmlands. Her street scenes convey the energy of the city life, and the feeling of intrigue of what is in the distance. Her scenes are often described as having a strong compositional serenity paired with energetic brushstrokes. Her brushwork conveys a sense of movement, filling the viewer with the feeling of the wind blowing through the trees, water flowing or the clouds floating by. Her use of vibrant color and light effects move your eye through her paintings. Jean also enjoys painting interiors of local landmarks, still lifes and portraiture.